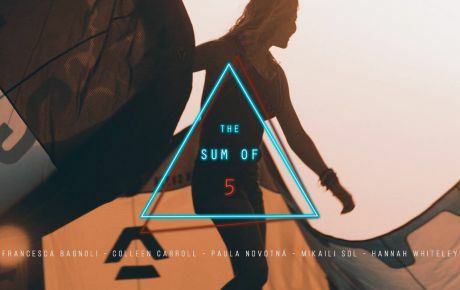 We tracked down Gisela Pulido and Paula Novotna for an exclusive chat about the making of their video, riding and training together, the advancement of the sport and of course a few girly secrets. 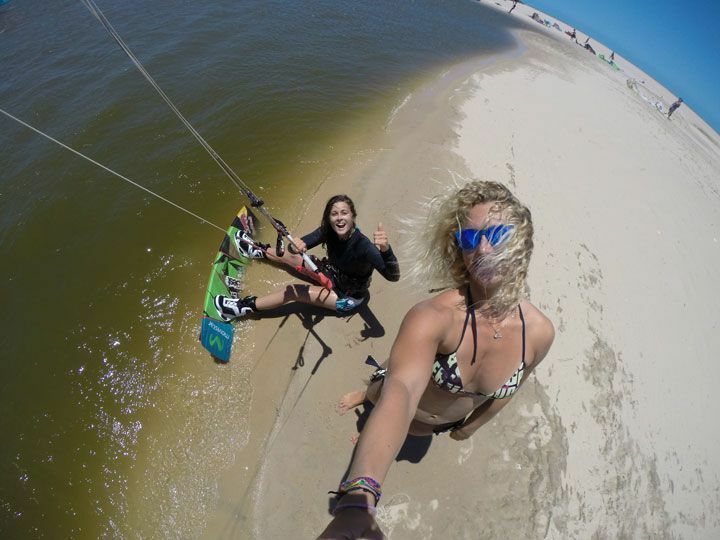 Without any doubt the biggest female kitesurfing video to drop has been the “Like Two Drops Of Water” collaboration from Gisela Pulido and Paula Novotna which we featured last week. We tracked down both girls for an exclusive chat about the making of the video, riding and training together, the advancement of the sport and of course a few girly secrets. KSm: Hi girls, first of all thank you very much for taking the time to answer our questions. We are super happy to be able to talk to you two together especially after the incredible video you have just released. So tell us, what was it like to work and collaborate on a project like this? Gisela: It’s awesome to be able to do a video with your best friend! We were talking for long time and had this project in mind. And finally we came out with the video this fall. At the end what we want is to show everyone how we train and what we do to achieve our goals. Paula: I am glad we came out with such a cool video. You can see in there we love to do what we do and we do it with passion. I always had this movie project in my mind and finally we made it happen! Filming with Gisela was great, we have an amazing friendship and we enjoyed every minute. 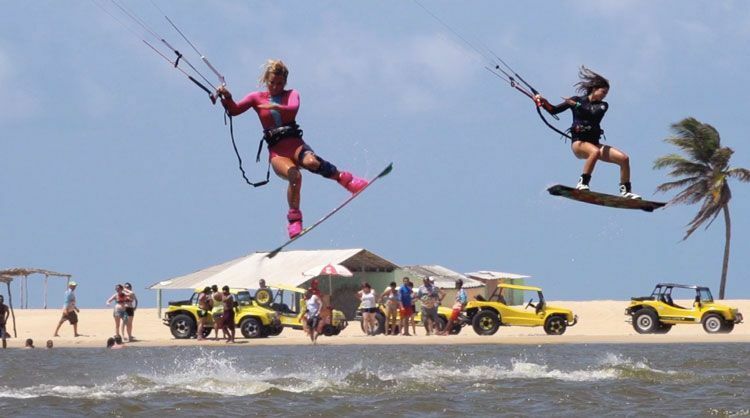 KSm: You are pushing female kiting to such a high level especially when you are seen simultaneously throwing perfectly landed tricks together. Honestly though, how many takes did it take for you to get those shots? Gisela: To be honest it didn’t take too long to record the combined trick! You can ask Andre our film maker! We just did a couple of shots and got it. Even the first jumps were better than the next ones. The only thing I found was a bit tricky and dangerous; we couldn’t crash and hurt each other! Paula: Yes, it was just after our session as we wanted to try something different, and riding together was so much fun! People on the beach were going crazy! KSm: We see how you both give a high priority in your lives to physical training. What type of exercise and workouts do you prefer to maintain your fitness and be more effective in the water? Gisela: We do give a high priority to physical training. You need to have a strong and balanced body to perform better in the water and avoid injuries. But for me the most important is the core. Is the key for all the tricks. Paula: As I said in the video, physical training is really important for me. I am in the gym very often, working on my legs the most as I am still in early post operation time and I wanna avoid other injuries. I combine balance training and high interval training with or without weights, depends if I kite the same day or not. When I am home I do Crossfit as well as I have a great group of people to train with. I enjoy running to clear my mind and do some cardio and to relax my muscles I swim and do yoga. 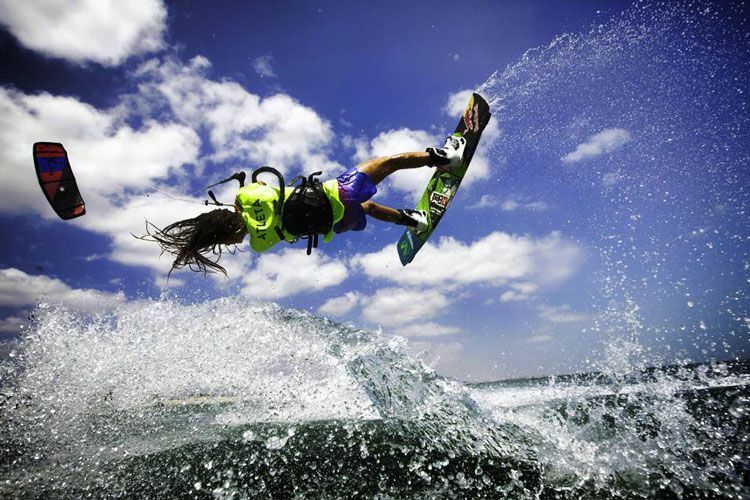 Honestly I feel better on the water when I train, I feel stronger and capable of doing more tricks, going higher and more powerful. When I was injured I had a personal trainer at home and we worked on balance a lot. 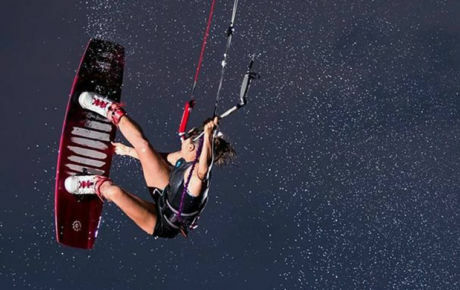 I had to wake up all the small muscles around my knee and when I came back on the water I noticed that my balance is way better and I could really feel it in my landings. KSm: In the video we hear you Paula say that riding in the company of Gisela is a big source of motivation especially after your knee injury. 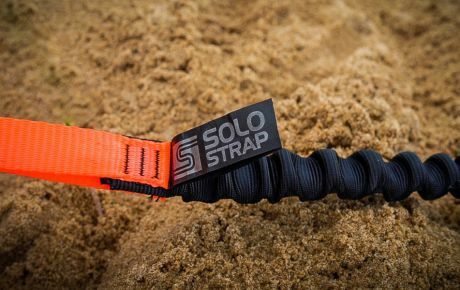 How did you find overcoming these initial anxieties when returning to the water and was it something that riding with friends helped, or something you found you had to deal with personally? 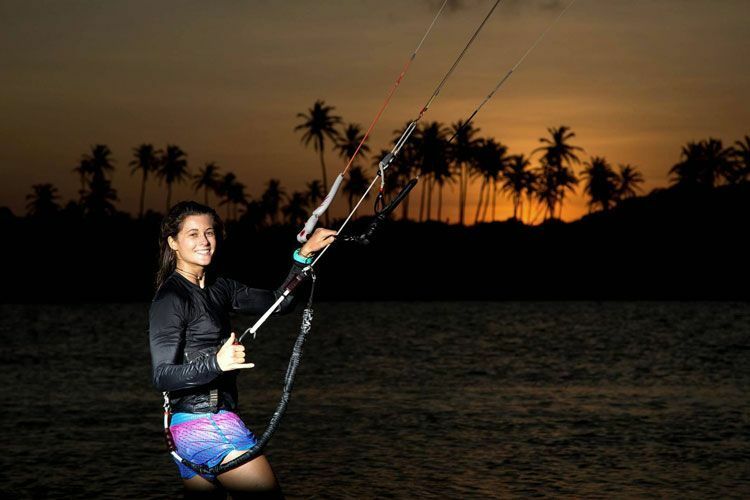 Paula: I will be honest, I would think it would be the best feeling in the world to get back on the water, but I was so afraid of hurting myself again that after my first session I was crying. 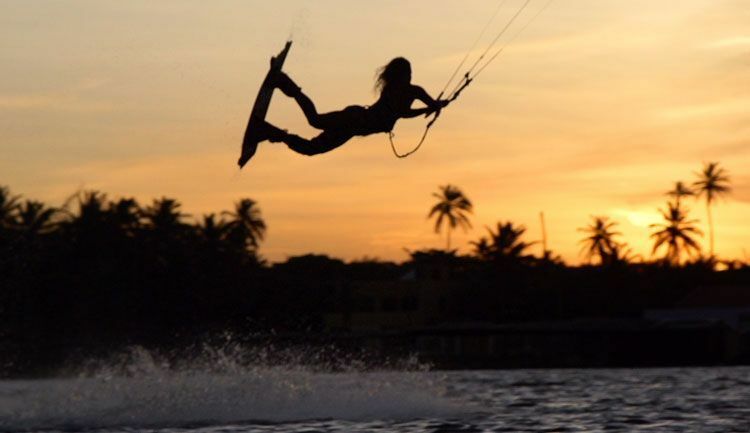 After few days it was fine and I enjoyed kitesurfing again and I was stoked to make it back. And yes it was really hard coming back to my level. Physically I could do everything I used to, I was just scared in my mind to go for it. It took me quite while to overcome the fear and sometimes I still have it, in the end I learned a lot from this injury. Riding and training with Gisela is always fun as she is riding great and she gives me feedback on what I am doing wrong and that helps me to get better. Honestly I prefer riding in the company of boys as they are way better and they help me more. What also helps me to overcome my fear is when there are more people on the water. Sometimes when I am alone I am too lazy to crash and try new things hehe. KSm: Gisela … after being so far ahead of the other girls for such a long time in terms of your tricks and level we have seen this year an increase in the girls riding especially with Paula, Annelous and Annabel, …and in return we have seen you push your riding to an even higher level throwing tricks that would win you a mens heat. Do you think you will reach your limit and they will catch up, or do you still have a little bit in reserve? Gisela: That’s a good question! Well, as you said the level of the women is increasing a lot and I’m happy that it is that way. I want to see more girls doing these kind of tricks and going into competition. I hope I haven’t reached my limit yet, in my mind I still have so many more tricks I want to learn! It’s just a matter of training and believing in yourself. 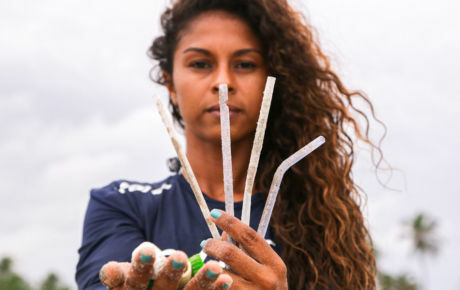 KSm: One thing is certain, when we see you girls there is no doubt that you are professional athletes and as such are sources of inspiration for many girls in the sport … but nobody is perfect, so tell us, what are your guilty pleasures? Gisela: For me it’s an honor to be an inspiration for many other girls in and outside the sport. Is such a responsibility but we try to do our best. Of course nobody is perfect. I have an idea. I say something that Paula could improve and she says something from me. Paula you are quite messy! Paula: Haha, sorry! Yes sometimes I am when I am busy, but I am trying not to be! To be honest, Gisela is very organized person, so I can not say anything bad hehe but she likes to watch TV series when she doesn’t have to study and she can do it all day long hehe. I get nervous when I am not doing anything, and then I am annoying. 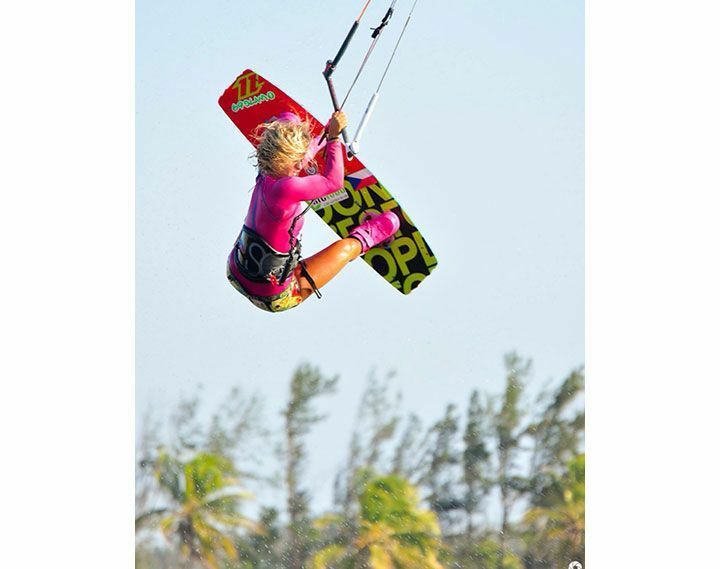 It’s a pleasure to be a inspiration for the kite girls out there! It’s always good to hear good words about your work! Good attitude, strong mind and go for your dreams, that’s it! KSm: Let’s not forget that we are still a girls magazine so please, a beauty tip from each of you that you think helps maintain the look when you have just spent the whole day in salty water. Both: Hydrate your skin and specially your face because then sun and salt makes it really dry. Take care of your hair using high quality products. Sun and salty water it’s not the best for it! And drink at least 3 liters of water and eat healthy and be sure you get well balanced nutrition! KSm: Next years competitions and other projects … what are your plans for the immediate future and where can we expect to follow you in the coming months? Gisela: I’m going to Venezuela to train for 20 days. Then I’m coming back home and going to Austria to the Diagnostic and Training center from Red Bull. We start the season late march so we have time to get ready for 2015. Paula: We have a long break before we start with 2015 season. Right now I am just leaving Brazil. I came back to train for 3 weeks before Christmas, because I just love Brazil and the easy life here. I am flying to Tarifa to spend Christmas with my family and gonna stay there during New years as well. In the middle of January and during February I will be in Cape Town. I am already looking forward to it as it’s completely different than any other place where we go to train! 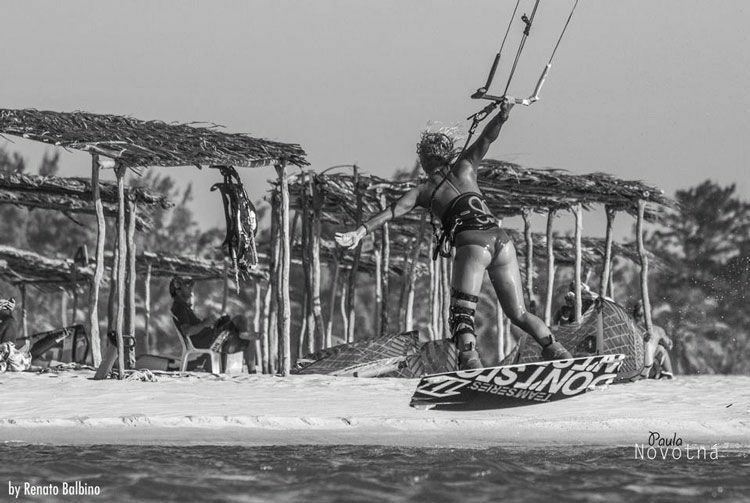 KSm: We will let you finish with a few words to all of the female kiters who follow you and need that little bit of positive advice and motivation. Gisela: Every time I see a girl riding I’m really excited about it. In this sport you mainly see men practicing. But when you see a girl it really shows how capable we are to do whatever we want. It shows a lot of respect.